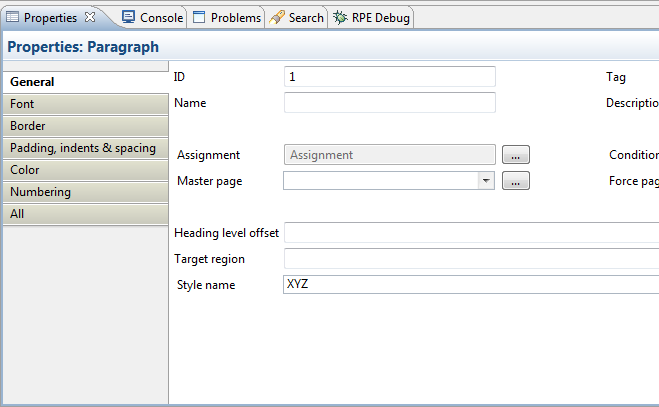 When designing templates with RPE it is recommended you separate the formatting of the document from the rest of the template.You can define most formatting properties in the template but that makes for a template that is difficult to manage. 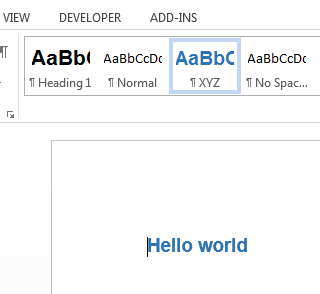 The better option is to use external styles defined in Word stylesheets. 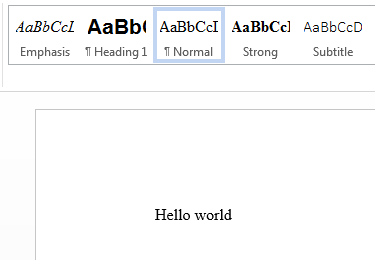 Using Word stylesheets will make the template simpler to maintain and it will also allow you to change the appearance of the document simply by providing a different stylesheet. 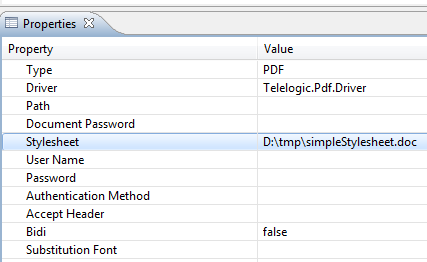 NOTE: any Word document format can serve as a stylesheet, RPE does not limit the options to dot/dotx/dotm files. NOTE: you can use Word stylesheets for the PDF output too. create a Word document ( doc/dot/dotx/docx) and define a style in it named “XYZ”. Is it possible to retrieve any metadata about the stylesheet inside the RPE template. I want to print the version (or the file name) of the used style sheet to the first page of the generated document.